We can never get enough of the Tuscan Sandwich from Sugar Leaf Bakery. 1. We’ve fallen head over heels in love with the Tuscan Veggie Sandwich from Sugar Leaf Bakery (2800 W. 76 Country Blvd., Branson, 417-336-6618). 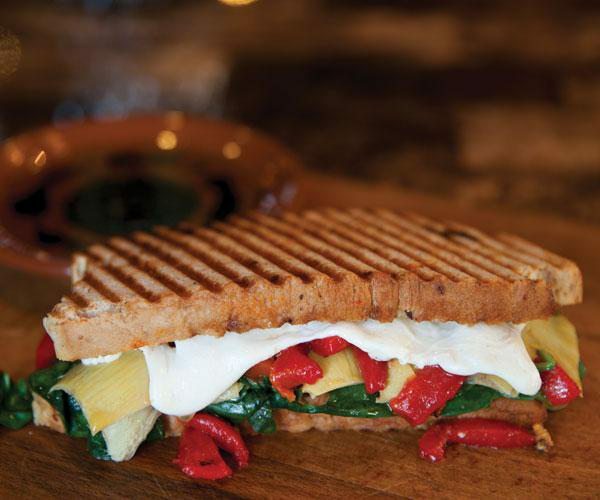 With vinegar and oil for dipping, this sammie is served on homemade pepper and fig bread and topped with spinach, roasted red peppers, marinated artichoke hearts and mozzarella. 2. A new favorite spicy bite of ours is the green curry with shrimp at Bangkok City (Editor's Note: Bangkok City is no longer in business. )(1129 E. Walnut St., Springfield,417-799-1221). Order it extra-hot if you’re daring. The dish is filled with eggplant, green beans, plump shrimp and lots of super-spicy jalapeño peppers. 3. The avocado chicken sandwich from The Grotto (301 E. Battlefield, Springfield, 417-886-9600) is a super-filling meal we can’t resist. 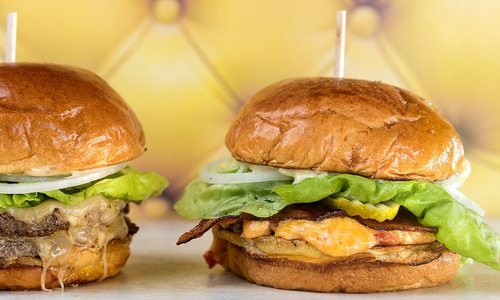 The fat chicken breast is topped with melty Swiss cheese, crispy bacon, thick slices of creamy avocado and a smear of spicy chipotle mayonnaise. 4. 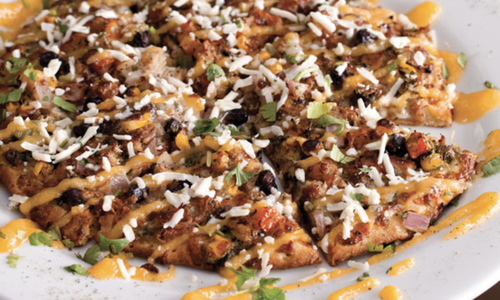 We cannot get enough of the green olive and almond tapenade at Aviary Café & Creperie (two Springfield locations, 417-866-6378, aviarycafe.com). This appetizer is a tasty mix of briny olives and earthy nuts, and it’s served with sourdough. 5. Don’t miss the hummus at Mohaska Farmhouse (Editor's Note: Mohaska Farmhouse is no longer in business. )(1821 S. Main St., Joplin, 417-206-3473). The hummus itself is great, but the star is the toasted bread that is served with it. It’s fresh and delicious, and you get a ton of it. 6. At Riad (400 South Ave., Springfield, 417-720-1018), they serve some mean falafel. Get it on a pita with veggies and hummus. Delish! 7. For comfort food at its best, we recommend indulging in the banana pudding at Enoch’s BBQ & Southern Classics (Editor's Note: Enoch's BBQ & Southern Classics is no longer in business. )(307 S. National Ave., Springfield, 417-865-2888). 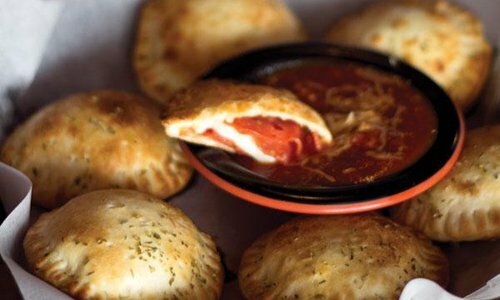 It’s just like your grandma used to make it.